I wrote about my dream travel destination at the begining of April. Now I found another place that is exteremely beautiful, even comparable with my previous Daocheng trip. Its name is Tahiti. Here are some pictures of the wonderful place. This page provides very good information about all the travel related articles. Actually,so beautiful.Seems it lies in an island of west pacific.Indeed,In this planet,there are many very beautiful sites,though no big,no so famous as those metropolitics.I hope ur dreame come true as soon as possible! It’s my first posting here. Thank you for picking such beautiful pictures. But I wish Jianshuo could add more comments, not just a few eye-candy. Nice suggestion. I was looking for more information about this famous but still mysterious island for me. I hope I can add more information at this page, Li Jingyi. I like your travel comments. Do you have any information on Guilin? Or what are good tour agencies in shanghai that will arrange tours for you. When people think of Tahiti, paintings by a French painter, Paul Gaugain, often come to mind. 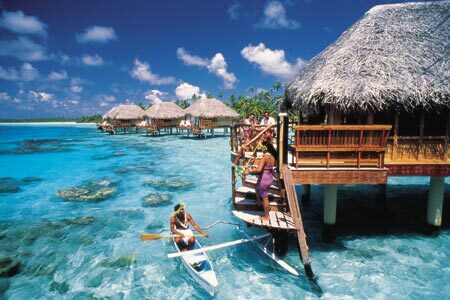 The man set sail for the French Polynesia in 1891, and decided to stay in the South seas there for the rest of his life. His paintings — which features primitive forms and brilliant colors — have a certain rustic beauty to them. At least Gaugain got famous eventually — after his death, of course. But many aspiring artists in history simply never made it. Adolf Hitler, for example, was a gifted artist who just couldn’t accepted to art school. He ended up joining the military and got famous in another way. Paul, thanks for sharing the information. The story behind Tahiti made the place more attracting. Thanks! they are ranked #4 of the top agencies I will research and check it out. Yes everyone says Guilin is very pretty. Yes. Try the agency out. Guiline is the traditional spot of scene. It is famous for centuries. There are some places like Lijiang, Daocheng and others which are just become famous these two years. The newer one is also very nice. Just enter “Guilin” in the search box and you will get very good picture there. Well, this is an old item, but still intersting ! If you want a good vacation in easy access of Shanghai, try the Philippines ! Only 3 hours flight from Pudong Airport, a returnticket is around 3700 RMB. Everyone speaks english, and they are friendly ! Cheap accomodation and food too. 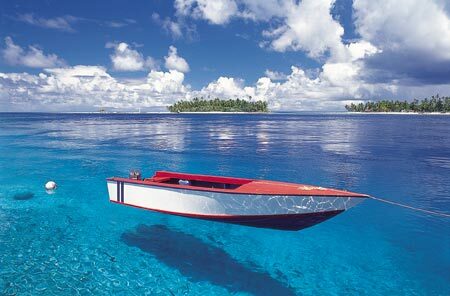 The Philippines is a beautiful country, and half of the beauty lies beneath the surface of the warm clear water. There are volcanoes, caves, jungles, lots of beaches, nightlife, and most people are very keen to the elections. The latest election was for the president, who is a woman (! ), re-elected recently. I have been there 4 times now, the last 2 times with my girlfriend Xiuying. She couldn’t swim, but learned it the 2’nd time there. When someone can swim 200 meters they can join a PADI diving school and learn to dive in just 3-4 days, so she did (I have been diving since 1999). It is truly a wonderful experience to dive with the one you love ! Diving class is 260 $ incl. everything. Expect no schools teaching in chinese as 99,5% of the chinese tourists comes from either Hongkong or Taiwan. With an Open Water Diver license you can have dives all over the world. Dives costs from 15 to 28 $ each, incl. all equipment. Usually you will go to depths between 8 to 30 meters, lasting 40-60 min. The dive-master at the shop will guide you to the best places. As the schools are businesses they want to teach you more, and then you can dive deeper and longer. I can recommend the Advanced Open Water Diver course, it can be in extention of the basic OWD, and at nearly same price. for info of Puerto Galera, a convenient and popular dive and action place, only 4-5 hours from Manila airport where you arrive. I come from Europe, so I can go there for 21 days without any visa, but chinese mainland citizens are required to obtain a visa (250 RMB). No surprise to that, because mainland China requires visa from ALL foreigners – that’s why all others demands a visa from chinese visitors ! If you have a job, and you are financially ok, you will have no trouble. Your employer must write an officially stamped letter where it is stated that you will still have a job there when you get back ! i would like to send for me som picture to save it. i can’t believe how beautiful Tahiti is, i was planning on going to europe late next year as i am just finishing year 12, but am now reconsidering it, i am from austrlia and tahiti is alot closer than europe, i did a project in highschool about tahiti and always wanted to go there, but now im thinking of going there instead of europe, what do you guys think? i think that tahiti is one of the most gorgeuos places in the world and i commend and congraulate you for showin its perks and making my home island look very extordinare! Do you know how foreigners can buy real estate in Tahiti Islands ? Is it still french rule there ? Wow thanks for the great pics. They inspire the heck out of me!! They’ll help keep me focused on my plan, that I should reach in just 4 more years. That’s not fair for curious blog readers. The third picture from the top IS NOT TAHITI, it is the Kaneohe Sand Bar on OAHU in HAWAII. Hello, I found your blog from searching gooogle images for pictures of tahiti. I would like permission to use the second picture (of the water) as a background image for my own online journal. Is that possible? I will credit your site of course. Let me know. Thank you! My wife and I went to Tahiti on our honeymoon and we fell in love with the people, islands, and the culture. It took us a little while to slow down to the Polynesian pace but once we did, we took full advantage of everything the islands offer. If you are on the island of Moorea, make sure to go on Dr. Michael Poole’s whale and dolphin watching excursion….it was amazing. We saw humpback whales, blue whales, spinner dolphins, sea turtles and giant stingrays. Sunset dinner on a motu’ is also well worth the money. We also rented cars on both Bora Bora and Moorea and found some great shops and sights otherwise unseen. 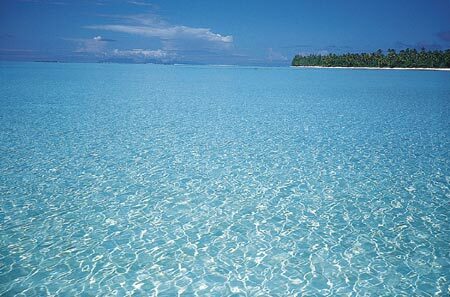 1st of all i am only 16, and i think that tahiti is so beautiful…and that is a place that i have always dreamed of going to. 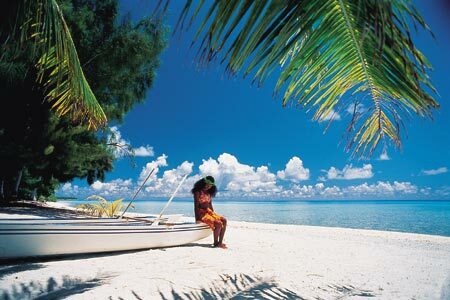 I am tahitian and i hane never been to tahiti in my life…taht is pretty sad. hi ,my name is enrick. 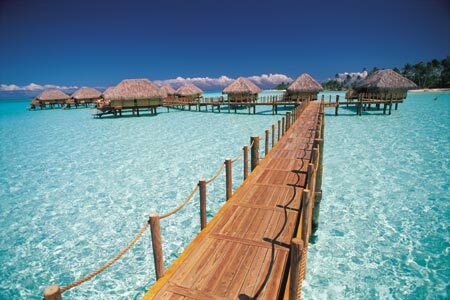 i live in tahiti. i’m 24.
i love your site and have stored it in my favorites.your photos of tahiti are beautiful.i would like to have more specifics about the resort they were taken at and how to contact them.any help would be appreciated.thanks again. I your pictures are fab!! 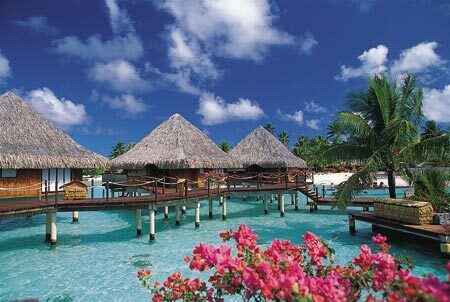 i am plannin to travel to tahiti…do u know any way to find weed in tahiti? * Ground transportation from the airport to the hotel upon arrival and from the hotel to the airport upon return. 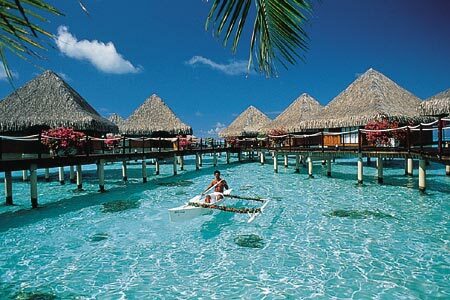 the huts in the water, where exactly in Tahiti is it. Travel information I would love to get to take my husband on a surprise trip to a place like this. I love your pictures. Eu quero ir nessa porra!!!! 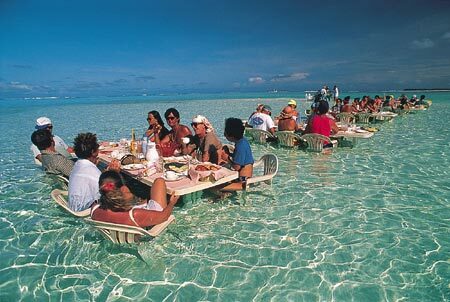 Please let me know as to where exactly that place in tahiti is. What resort or hotel is that? Is there a website I can visit? I love the pictures. Thank you. These pictures are amazing! We are in the process of planning our honeymoon… Can you please tell me the name of the resort that these were taken at? Specifically your photo with the name “tahiti-village-large.hut”? I MUST go there! Thank you for this blog! 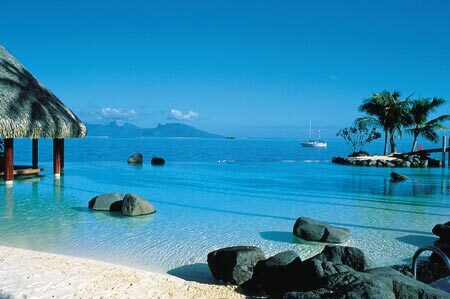 I’m Lea from Europe /Slovenia) and I am 23 years old..I feel in love in Tahiti aand my greatest wish is to visit it someday!!! WOW!!! TH4T IS 1 G4WJUS PL4C3!! LOL!! SO GOIN D3R FOR M3 HOLS!!!!! hi! this is really good! i wuld luf 2 do dat with my family!!! Far iiM So Gng tHr oNe DayY!!! ThaT’sS a Mean 1 Of tHmM haViiNg DiiNa iiN tHe WatEr!!! I really want to know what resort this is can you please tell me? me encanta este lugar esta de lujo lastima que no tengo forma de conocerlo.